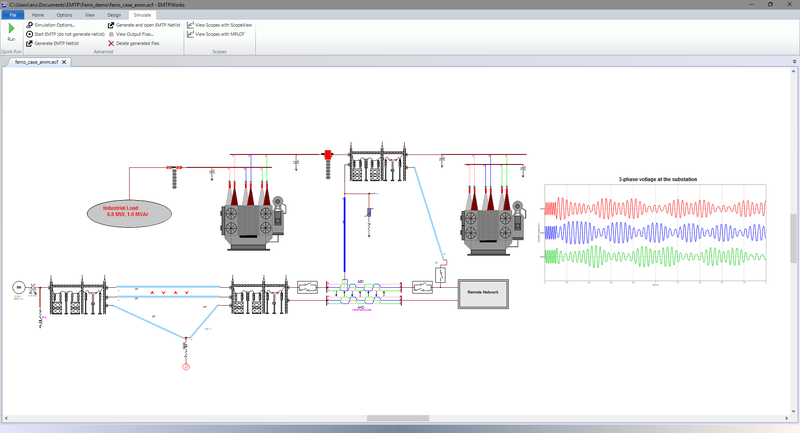 An advanced, yet easy-to-use graphical user interface that maximizes the capabilities of the underlying EMTP-RV engine. EMTPWorks provides many customization and scripting options and one can easily adapt it to match its unique needs. A powerful and super-fast computational engine that provides significantly improved solution methods for nonlinear models, control systems, and user-defined models. Time-domain simulations are initialized from unbalanced multi-phase load-flow. 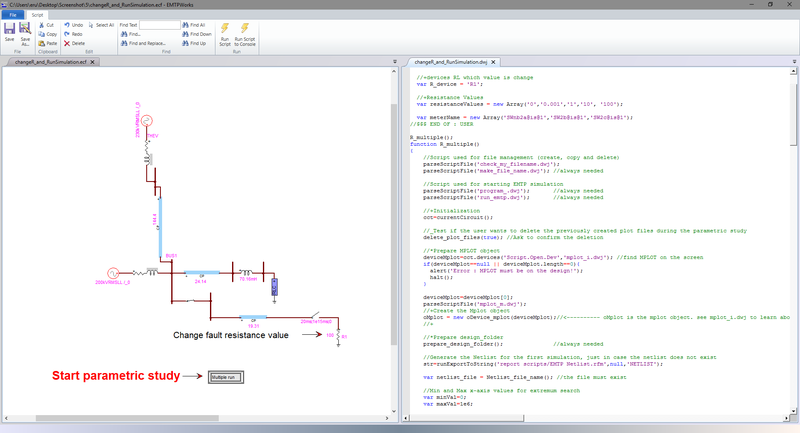 An advanced visualization and advanced mathematical post-processing tool. 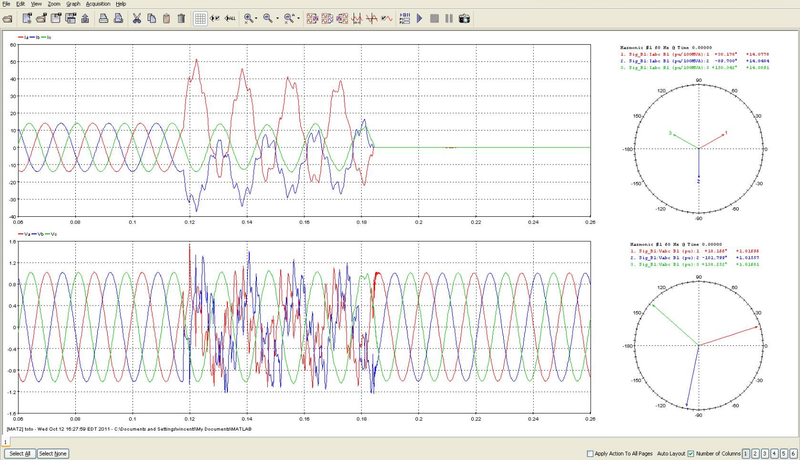 ScopeView is a data acquisition and signal processing software very well adapted for the visualization and the analysis of EMTP-RV simulation results. A well-documented and comprehensive library of components and function blocks that allow the user to easily realize complete and complex power system studies. 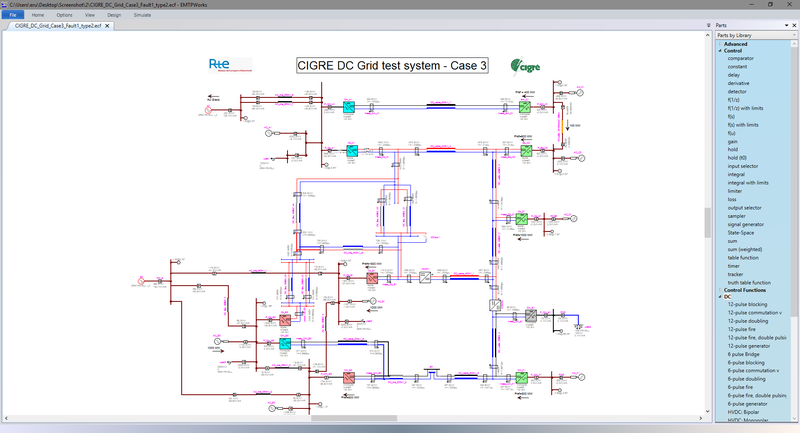 Simulation of single-phase fault in an unbalanced 230kV Network. 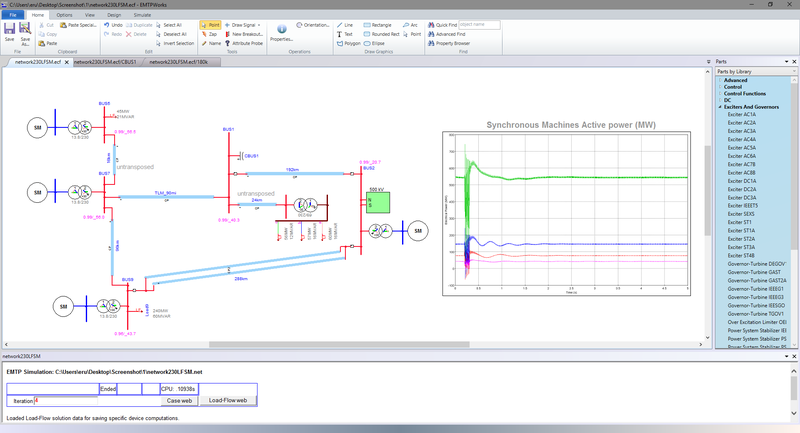 Simulation is automatically initialized from EMTP Unbalanced multi-phase load-flow results.